Why Your WordPress Website Really Need SSL Certificate? Ideally, the technical norm in the digital world says that all the online transactions are done via e-commerce business (that includes credit card details and payment gateways) and other websites shall have SSL certificates for better security of the data and information, but there are some WordPress Website Security as well (who doesn’t sell anything), for those the experts believe it’s fine not to have a mandatory installation of SSL certificate yet it is highly recommended. Moreover, what these experts don’t realize is that SSL certificate has several other positives for small business owners who run on a WordPress website. Intrigued by this statement? For your clear understanding first let’s learn about SSL certificate, post that you must be in a better situation to know the reasons for installing SSL to your WordPress website and why does a WordPress site need SSL Certificate. SSL – secure sockets layer is a cryptographic protocol that makes sure of safe and secure communication over a computer network and servers. Simply put, SSL fundamentally encrypts the data which is being transmitted between the computer and the servers, so that it is unattainable for the third party to access, read and steal. Without getting excessively technical here, SSL is a medium that secures all your data when you come to a website to buy a product or service or share any information in the form of Email, contact number, usernames, passwords and etc. SSL certificate is a digital certificate that combines with HTTP to form HTTPS, (HTTP+SSL = HTTPS), which is a secure medium of transmitting data from one computer to another or between servers. This can be checked by seeing “https” on the corner of the URL on your browser’s address bar. This is the clear indication of SSL certificate installed on your WordPress site. Additionally, it is also important to know that SSL certificate also authenticates that are you sending data to the right server or not. Another benefit of SSL certificate getting installed to a WordPress site is that it takes the client under confidence that he is dealing with a trusted website and there’s no indirect dealing involved in the information being transferred. Do you want to know about – SSL vs HTTPS? Keep reading..
SSL and HTTPS both are related technologies and security protocols for strong encrypted information. Basically, it is the SSL certificate what makes the secure HTTPS transmission possible between a computer and a server. Here the “S” in HTTPS stands for secures, which elucidates encryption key making encrypted HTTPS protocol possible. On the other hand when we say, that a WordPress “site is using SSL certificate” we signify that the site is properly configured with SSL certificate and has been configured to only admit connections over HTTPS. But, these are two very different things. Voila! Hence any website, be it a WordPress or any other needs SSL and HTTPS to authenticate their business on the web, in turn remaining safe and secure from phishing activities. Why https is a requisite? So, if your website is an e-commerce site and accepts transactions and payments then, an SSL certificate is a must have. Actually, most of the payment processors need this for their sites. On the other hand few like PayPal express, American Express does not need SSL, and this is because they work by redirecting to another website directly. 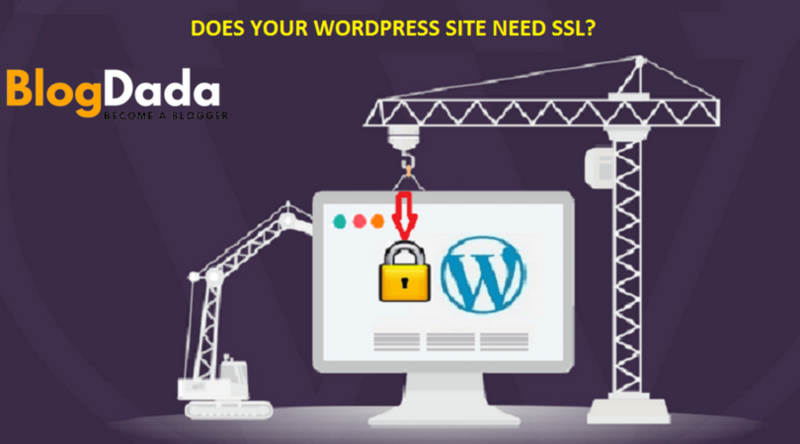 But since security is the primary factor online, and the original form is still not secure, as a result, you will be putting your customer’s data at risk during any form submission or transaction, hence SSL is an obligatory thing for your WordPress site. Another, aspect of using SSL certificate to your site apart from it is being good and secure is the appearances as well. This is the green padlock which the site gets in the address bar indicating https security and safe transactions. Considering this, recently people are also getting more worried and aware about the online security and hence have started using https rigorously on their sites. No wonder the non-technical individuals are also looking for the green padlock in their address bar as the indication of security. What needs to be taken care of while implementing SSL certificate to your site? We usually think that SSL/https terms are for securing data, yes it is true, but this is not the only thing, it is also prudent to consider the website’s security and trustworthiness of the data which is to be sent. Thus, without SSL certificate there are chances that the details of your submission form on your website can be modified and treated with phishing attacks, so buy SSL certificate for your WordPress site and keep your viewers, readers, and customers happy and safe. Talking about the other side, this section of the article will tell you what all to keep in mind when you implement SSL certificate and https to your site. Although migrating your insecure WordPress site to HTTPS has some snagging effects, as just by putting up the SSL certificate and shifting your site URL to https:// is not enough, rather make sure that your server is well-configured to the redirection requests over HTTP to the HTTPS. 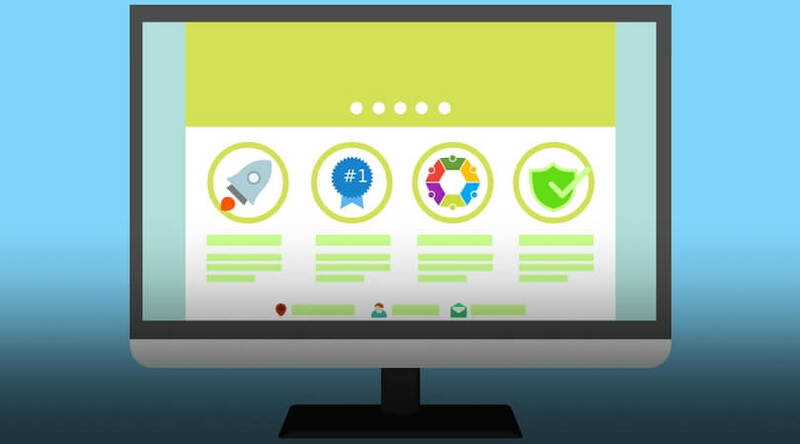 In the nutshell, today installing SSL certificate to your WordPress site is not a tricky and complicated talk, many host providers offer simple steps and services to install SSL certificate perfectly to your site. The aforementioned points explicate the dire need to keep your data encrypted and secure on your WordPress site. Don’t wait for someone to call you, just do it and be safe.